Sedona Bed and Breakfast Inns. Sedona AZ Hotels. Delicious Comfort. Sedona Bed and Breakfast Inns. Delightful food, views, and amenities. Sedona AZ bed and breakfast lovers share info and tips. Best Sedona hotels for truly delicious ways to stay. From over 100 Sedona Lodging choices, nothing says unique like a Sedona Bed and Breakfast. 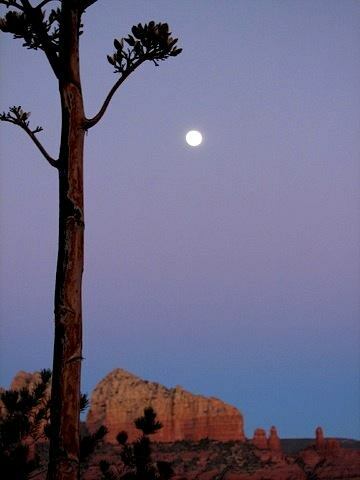 Sedona is home to more than 60% of ALL Arizona AAA 4 Diamond Rated B&B's. Locals love to recommend these to friends and family looking for an especially memorable way to stay. Globally recognized and continuously acclaimed, these B&B's offer a variety of ways to be pampered… just as you like. You can easily tuck yourself into total seclusion. And when you're up for it, mingle with other Sedona AZ vacation lovers. Sedona Hotels. Sedona AZ Bed and Breakfasts. What's your idea of an unforgettably great Sedona AZ Bed and Breakfast? This page aims to help you find a kind of decor that resonates with your taste. And to give you a good idea of the kinds of delighful services available to you. So you can make the most of your Sedona AZ vacation experience. Each of our top B&B picks offers an abundance of amenities and one-of-a-kind accommodations. From private villas and casitas to cozy lodge suites… each is distinctly and expertly designed. Sedona Bed and Breakfast vibes range from simple, down-to-earth and homestyle hospitalities… to over-the-top mansion-style luxuries. And, of course, all include delicious gourmet breakfasts… Prepared by significantly talented chefs. Sedona Arizona Hotels. Best Sedona Bed and Breakfasts. Sedona Hotels. Top Picks. Bed and Breakfast Sedona. There are about 40 Sedona Bed and Breakfasts from which to choose. Following are the ones we know and love and therefore, wholeheartedly recommend. We hope these insights help you find your kind of delicious B&B comfort. Sedona Hotels With Real Flavor. Recommended by Frommers, Fodors, Conde Naste, and Johansens. This is an excellent choice among the villas of Sedona… a real classic. The Canyon Inn was the first Sedona Bed and Breakfast Inn to be awarded a AAA four star rating, and it has maintained this excellent standard. Canyon Inn Sedona Villas was built for views, offering spectacular Red Rock Sedona vistas that span Bell Rock and Courthouse Butte. Click here for more about the unique offerings of this Sedona B & B, along with photos and directions. Located in West Sedona, this intimate bed and breakfast is designed in the Mission and Arts & Crafts style. The vibe here is very warm and welcoming. People who visit Sedona AZ often, return here again and again for many reasons, but especially the great hospitality. Click here to see more about this cozy and romantic way to stay, including rates into, photos, and directions. This family owned West Sedona bed and breakfast was initially designed around two priorities: Views and Privacy. It has evolved into an elegant and soulful place to stay. Click here for more about this AAA 4 Diamond rated Sedona lodging pick. See photos, get directions, and check out the surprising rates. Luxurious Sedona Hotels. Delectable Beauty. Owned and decorated by an artistically gifted and highly discerning family, this Sedona Bed and Breakfast Resort is an absolute favorite for design… and luxury, privacy, and comfort. Choose from 15 mansion-style villas, each with its own entrance, two fireplaces, and a lovely private outdoor area. Enjoy gourmet food, exceptional services, and over-the-top amenities. You will delighted… and surprised. See why this is one of our favorite Bed and Breakfast resorts. Click here for the full Adobe Grand Villas review. For sophisticated western charm, and a warm and friendly homestyle kind of stay, Boots & Saddles is a real stand out. The owners' accessibility and highly personal touches are likely what make this bed and breakfast a favorite among Sedona AZ vacation lovers, who loyally return here again and again. Click here to see more info, like some surprising amenities, along with photos and directions. Sam and Irith love owning and operating Boots and Saddles (above) so much, they've doubled their offerings with their new sister property, Sedona Views B& B. Here you'll find the same personalized attentions and thoughtful details for which their first B&B is well known, but with even better views. Click here to see more about why this is our overall favorite Sedona AZ bed and breakfast. Plus photos, rates, and directions. << Return to the Main Sedona Lodging Overview page. >> Go to to the Sedona-Happy HOME page from this Sedona Bed and Breakfast page.